This photo of Cher has been hurting my feelings with how beautiful it is since the beginning of the new Willenium. The glossy effect is done using petroleum jelly. That’s cool for a photo shoot, but way gross for real life. I’ve tried it out of curiosity, and it didn’t go well. I thought about this look when I saw Urban Decay’s Moondust Eyeshadow in Diamond Dog at Sephora. Honestly, I just think about Cher a lot. She’s one of my beauty idols. She took her unconventional beauty and became a STAR. 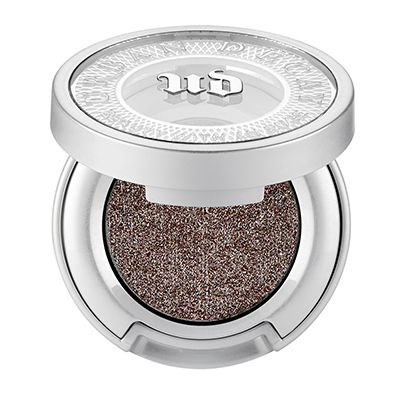 Urban Decay describes this color as, “deep brown with white-gold sparkle.” The shadow is very pigmented, it can be applied wet or dry, and you can build it from a sheer wash to a deep, smoldering color. This makes it a great color for day, or night. I was worried about the “sparkle,” since UD’s shadows aren’t always easy to work with because of the large chunks of glitter. As a semi-responsible contacts wearer (they’re old, but I keeps ’em clean), I know glitter fallout can feel like someone dumped a handful of gravel into your eyes. However, the glitter is so fine, and the shadow is so silky, it applies beautifully with surprisingly minimal fallout. I wore this over Urban Decay’s primer during an unseasonably hot evening out, and even though I was dancing, drinking and sweating, and it didn’t go anywhere. I did have a little sprinkling of the fine glitter drop into my eyelashes over the course of the night, but it wasn’t too bad. Yeesh. It’s going to take some time to get used to these up close photo of my own face. This shadow is so lovely and multi dimensional, it was hard to get all the depth to show. Rest assured, it is flat out gorgeous from every angle. Due to the shimmer in the shadow, Diamond Dog will apply best with a damp brush, or over something with a tacky or adhesive base, like a primer or a makeup epoxy. 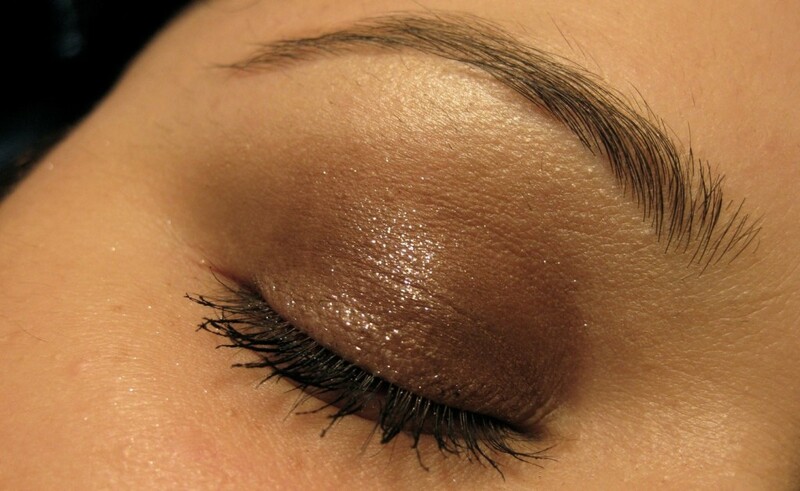 The beauty of a Cher inspired eyeshadow job, with none of the Vaseline-in-your-eye side effects! Urban Decay Naked 3 Confirmed!